How do you create an experience customers will remember? That's the question Chip and Dan Heath answer in their forthcoming book, The Power of Moments. You'll recall the brothers' skills in science-based storytelling from their previous best sellers, Made to Stick and Switch. The Power of Moments repeats those performances. It isn't easy to engineer a flagship moment, else every marketer would do it. Few do. The astute marketer not only spots these moments, the Heaths say, but shapes them, by blending some or all of the four ingredients that yield a flagship moment. And their recipe is simple: "Transitions should be marked, milestones commemorated, and pits filled." 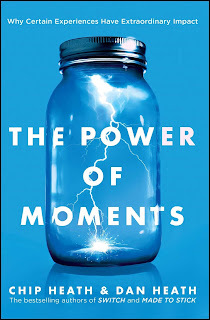 The Power of Moments' 300 pages are packed with examples of moment-making artistry, and make the book worth reading. You probably know Disney distracts you while you wait in long lines, Southwest clowns around during the flight-safety announcements, and Starbucks honors your birthdays with a free-drink coupon. But you might not know that all Pret a Manger employees can give away free food, based on how much they like a customer's looks; that Sharp Healthcare, by bringing all of its 12,000 employees to a convention center for an annual pep talk, keeps patient satisfaction in the ninetieth percentile (unheard of); and that John Deere welcomes all new employees on their first day with banners, gifts, lunches, and personalized videos. 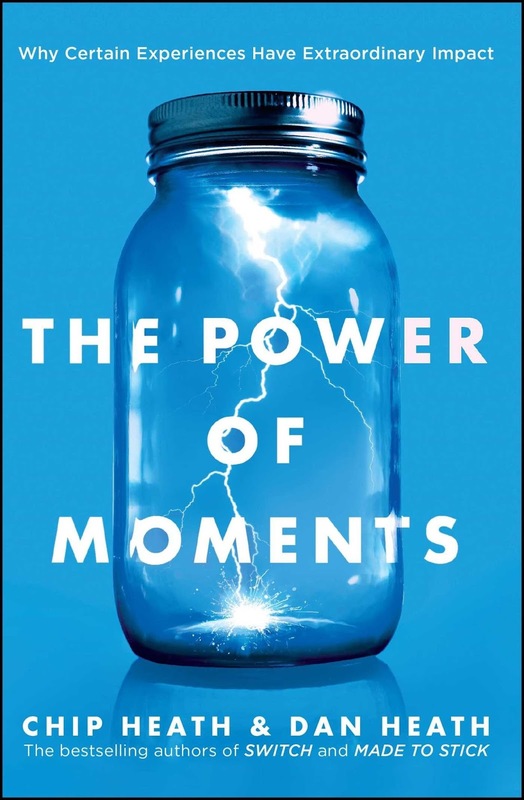 The Power of Moments will give you plenty of ideas for "turning up the volume on reality" and delivering experiences your customers will remember. And you don't have to settle for only the examples in the book. The Heaths will soon offer free podcasts featuring more.